What are the most expensive cities in the World? If you are looking for countries with the lowest cost of living, stay away from the cities we will present in this article. Cost of living is on the rise in virtually all corners of the world, but it is undeniable that there are still major differences from one country to another and even from one city to the other. You probably wouldn’t believe this but London and New York City aren’t among the 7 most expensive cities in the World. I live in New York City and it is damn expensive. I have been to London where people rent apartments weekly, not monthly. I can’t imagine how expensive these 7 cities are. Following, we would like to present you with a list we have compiled of the top 7 most expensive cities to be living in, according to a survey released in March 2014 by the Economist Intelligent Unit. In order to compile the Worldwide Cost of Living Survey, experts at the Economist evaluated 131 cities across the globe according to no less than 400 price indicators, from groceries and rental costs to coffee and heating expenses. Previously we published the list of 15 most expensive countries in the World. All of these 7 countries we discussed in this article were in that list too. Curious to see which is this year’s most expensive city in the world? Let’s take a look at the countdown. A square meter of a Geneva center apartment can go for as much as $10,000, making it one of the most expensive places in the world where you could be buying property. Spoiler: Geneva is not the only city in Switzerland to feature on this countdown. A city where a standard cinema ticket can make you part with $40 is bound to make an appearance on the most expensive list. Real estate in the Japanese capital is also notoriously expensive, not to mention a visit to their local restaurants. 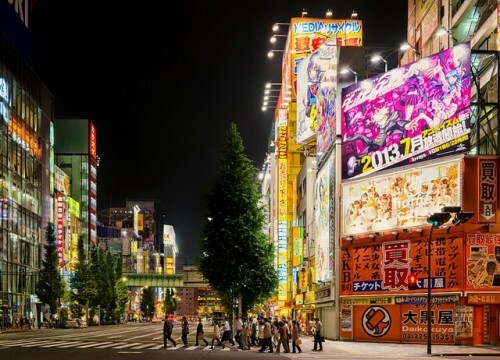 Most people believe that Tokyo is the greatest city in the World.